Frank Business Consulting Services in Thunder Bay, ON • Frank. Frank is serious about business. And even more serious about results. 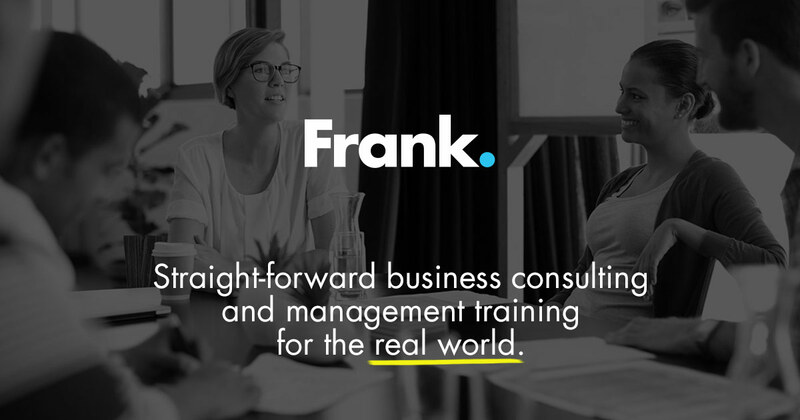 Frank’s business consulting services are tailored specifically for you and your business’ needs. We help you address the issues holding you back from success; give you effective tools to fix what’s broken; improve operational procedures to increase profit; and create a long-term plan to keep things running smoothly. Frank also offers one-on-one business coaching and life coaching to get your professional or personal life exactly where you want it to be. Grow a strong, profitable business you’re proud of with one-on-one business coaching. Learn how to work smarter instead of harder, and feel confident and in control in the driver’s seat with Frank by your side. Not where you thought you’d be by now? Struggling to keep your head above water? Feeling stuck and desperate to shake things up? This powerful one-on-one life coaching program will help you take control of the three most important aspects of your life: career, money and relationships. Over 12 sessions, your personal coach Nadia La Russa will help you uncover and overcome the hidden obstacles holding you back from living the life you really want. My business was growing, but slowly, and I wasn’t anywhere near my financial goals. I lacked direction and focus. Business coaching was just the fire I needed beneath my seat! The objective point of view helped me see exactly where I was struggling and what I needed to do to move ahead. The accountability of regular coaching calls forced me to stay focused and determined. Everyone needs a business coach!